7 proposed metro stations within the radius of around 1 km from Nishchay. Apartment Layout with zero passage, offering max. room sizes in a optimum carpet area. 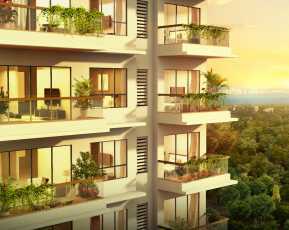 Homeowners looking for quality flats in Mumbai must have a look at Chandak Nishchay, one of the exotic residential complexes developed in the city in recent years. 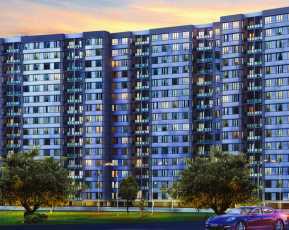 Luxury seekers have a good opportunity to buy these apartments and enjoy the wide range of amenities. The strategic location of Chandak Nishchay complex is one of the key reasons behind the popularity of these apartments. The project has been developed on the S.V. Road, which enables the residents to get a quick reach to the important areas around the estate. You can buy 1 and 2 BHK apartments in Chandak Nishchay residential complex. 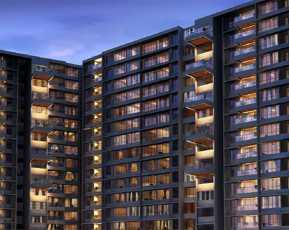 The prices of Chandak Nishchay apartments range between INR 61.50 lakhs to 97.50 lakhs. The flats in Dahisar are elegantly designed and you will love the enriched interiors. These homes come with sophisticated furnishings. If you have a fascination for green living facilities, you can get an apartment in the residential complex. It comes with landscaped gardens, extensive green areas and walkways for the residents. You will enjoy your time close to nature, when you move to Chandak Nishchay. The transportation system in Mumbai is well-developed. The residents can get across to the important places in the city in quick time from their homes. 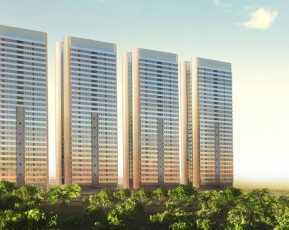 This Property in Dahisar is located just 10 minutes away from the Borivali Station. The upcoming metro stations in the region will further give a boost to the connectivity in the region. Besides, the Chandak Nishchay residents can enjoy a wide range of amenities in the estate, including landscaped terrace, covered parking areas and much more. The dense network of roads near Chandak Nishchay ensures a seamless connectivity to the important commercial zones in the city. The educational and healthcare infrastructure in the city is well-developed. A number of schools and hospitals are located close to the Chandak Nishchay complex. The important schools in the area include Singapore International School, Ajmera Global School, VIBGYOR High School, NES International School, City International School, Oberoi International School, and Furtados Music School. Chandak Nishchay comes with several luxury amenities for the residents. These include swimming pool, gym, various indoor and outdoor games, and much more. Health and fitness enthusiasts will enjoy a good time in the complex. You can enjoy quality time in the clubhouse, socializing with others. Children can play in the dedicated play areas in the complex. The residents of Chandak Nishchay can arrange for meetings and conferences in the banquet. The apartments get uninterrupted power and water supply. For investors and homeowners willing to buy luxury Flats in Mumbai, this is the right time to invest in the residential complex. You can enjoy the luxury amenities, while residing close to nature. Get a home here and live up to your housing dreams. Mumbai is in high demand among homeowners from all over the country due to its high commercial importance. The social infrastructure in the city is well-developed and the exposure to employment opportunities is high in the city. 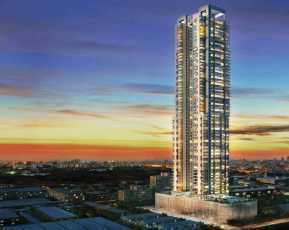 Evidently, investors from different cities of the country are looking forward to buy this Property in Mumbai Chandak Nishchay these elegantly designed apartments. You can buy these apartments now and live up to your housing dreams.